The safest bet for creating a smooth transition, color wise, as you wend your way from the front vestibule to the powder room, is to be sure to pick a neutral paint color. The beauty of a neutral color is that it makes the rooms all meld together. It is also easier to make the floor treatments look more harmonized, and, as a whole, the house just looks more balanced and put together. You cannot go wrong with neutral colors like those in the gray, beige, cream or eggshell-colored palette… unless, of course, you have a passel of kids with sticky or dirty hands which always seem to glom onto the lightest-colored walls. The kid factor might be a good reason to go with a darker hue for your hallway, bearing in mind the rest of the rooms in the house, and, how the color you pick should harmonize or meld with those other rooms as well. Besides, going with just a smidge darker hue might serve as a little interest for your neutral-colored rooms and will perk them up. This year, the top designers will try to persuade you to put a little drama in your hallway décor. You need not invest a king’s ransom to get this trending look – all you need is a can of paint and a little imagination. The use of strong paint colors will give your home a trendy look and also help to create a warm and inviting look to the “main drag” of your abode. Some of the trending colors this year continue to be varying shades of gray, ranging from a very pale gray to dove gray to much-darker shades in this particular color palette. Be careful not to pick hall colors that are overly dark. A too-dark hallway look is not encouraged, and, even the use of different lighting treatments, cannot help or enhance a too-long, narrow and winding hallway in a large home. Natural earth-tone shades like taupe, sand or even sage continue to trend and are popular hallway colors. For a little pizzazz in your hallway, why not consider using some edgy designs or styles like large or unusual pewabic or hand-painted ceramic tiles? Also, an interesting look is a subtle, neutral-colored fleur de lis wallpaper, or a bolder wallpaper style guaranteed to add some color, yet still looks dignified and distinctive, lending a touch of class to your hallway which will look perfect with your regal-looking living room and give your home a rich look. But, if you favor a home with country charm, you can keep that down-home look throughout by using wallpaper with tiny flowers in a color to complement the surrounding rooms. If you favor a more-naturalistic look in the home, plenty of roughhewn wood or even a wainscoting design will look perfect. Use two different colors of paint in a light and dark contrast, then use a wood trim in a natural stain or bright white. If you are looking to create a classic, architectural look for a very long hallway, consider using arched doorways along the way. Try adding a little tongue-and-groove paneling to add interest to an otherwise long and winding hallway. Most people find it easier to go with a monotone theme. They simply pick a paint color and get busy with their paintbrush or roller and create a harmonious, albeit blah and boring, look throughout the house. Depending on whether you are really striving for a look that pulls all the room colors and the hallway together, admittedly your home’s hallway is sure to look a little lame. Homeowners who opt for the above-mentioned, all-through-the-home neutral colors, would be wise to consult with a residential painter in Los Angeles. This person will provide you valuable insight into what colors or decorating suggestions can keep your home’s hallways from looking sallow and nondescript. By adding just a touch of a brighter hue will make all the difference the world. 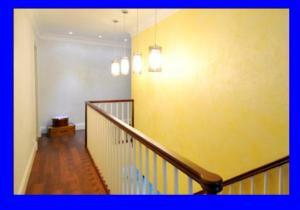 A hallway, unlike a regular room, has no windows to bring in the sunshine and let light reflect on the walls. Often, the only light in the hallway area is from a sconce or two or three and/or a light fixture. 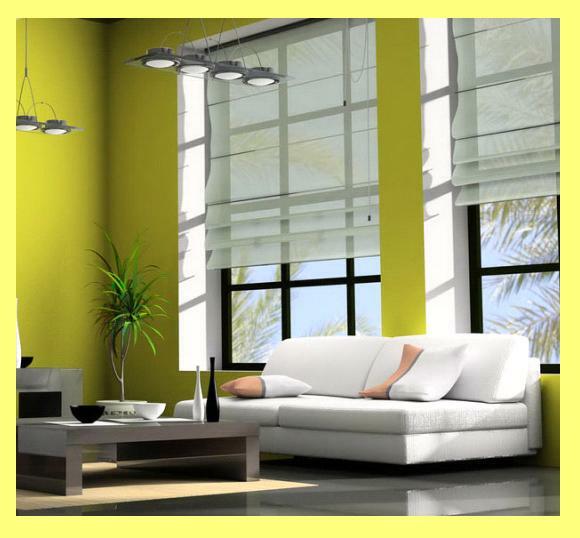 If you choose to paint in a color like wheat or in yellow tones, you are adding light to that darkened area. Consider lining that hallowed hall with a parade of black-and-white family photographs for a touch of whimsy. If the idea of enhancing your hallway with some trending hues will get you past the “I-want-to-do-something-different-with-my-home-blues”, try contacting a top house painter in the L.A. area today.